Curtis Septic Service has inspected thousands of septic systems in the Commonwealth of Massachusetts at the lowest cost to homeowners in our service area. Curtis Septic Service has been in business for over 3 Decades and specializes in providing the cheapest, most affordable septic system inspections within the state of Massachusetts. "I did alot of research about the best Title V Inspections at the lowest price in Massachusetts and I hired these guys. They are the most experienced and had the lowest cost for the report. Plus they had same day service." All homeowners whom want to sell their home in Massachusetts must first have a Title V Inspection. 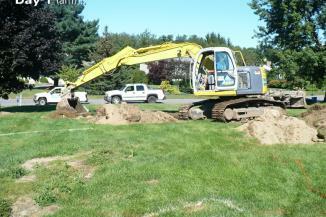 Approximately 75% of all septic system pass a Title 5 Inspection. If it fails, Curtis can fix it for you. Once your Massachusetts Title 5 Inspection is complete you have the ability to sell your home. Call Curtis Septic Service Now for Your Title 5 Septic System Inspector! Curtis Septic Service's office in Oxford Massachusetts provides the most affordable Title 5 Septic System Inspections throughout the state of Massachusetts. Our Title V Inspectors each have an average of 15 Years of Experience performing Title 5 Inspections and we educate our customers how to properly maintain and treat the septic system to extend the life of said septic system. And thats how to pass a Title 5 Inspection for your septic system on the first time 95% of our customers pass the Title V Inspection. When you treat your septic system properly, it's nearly impossible to have a failed system and to fail the Title V Inspection. Curtis Septic Service performs hundreds of septic system inspections every year in Oxford, Massachusetts (MA): Worcester MA | Framingham MA | Wayland| Natick MA | Stow | Sudbury | Hudson | Grafton MA | Millbury | Webster | Dudley | Uxbridge | Upton MA | Milford | Hopkinton | Ashland | Southboro | Northboro MA Title V Inspections | Boylston | Weston MA | Marlboro | Rutland | Paxton | Princeton | Leominster MA | Fitchburg | Holden | Spencer | Gardner | Shirley | Ayer MA | Northbridge | Concord | Acton | Boxborough | Waltham MA Title 5 Inspectors | Clinton | Lunenburg | Townsend | Charlton | Sturbridge MA | Southbridge | Groton | Hopedale | Mendon | Medway | Franklin MA | Bellingham | Norfolk | Maynard | Lincoln MA | Littleton | Sterling | West Boylston | Shrewsbury MA | Auburn and many more. Call Curtis Septic Service for your Title 5 Septic System Inspection and don't forget to print out you online discount coupon for $50 Off Your Massachusetts Title V Inspection. 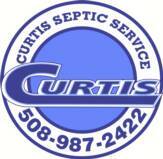 Thank you for visiting Curtis Septic Service online for all your septic system needs in MASS.